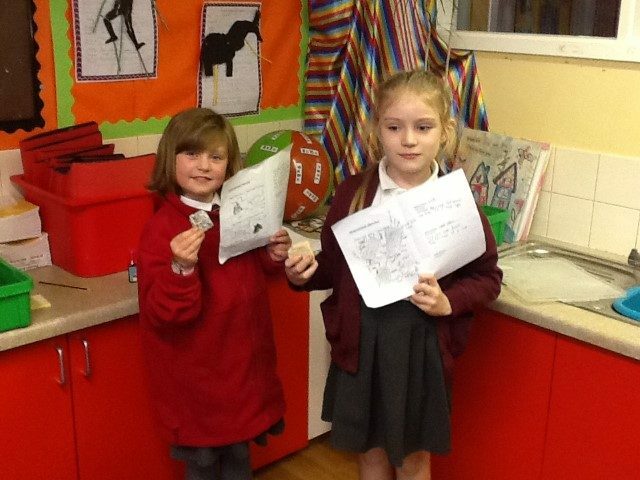 We are learning about the different types of rocks and their properties. 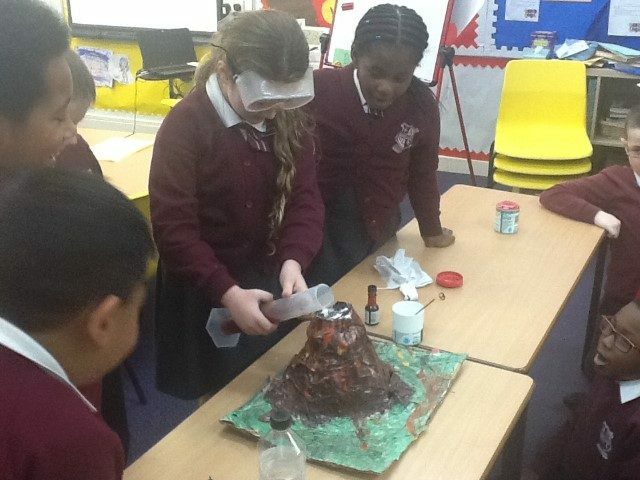 We have been learning about how, where and why volcanoes erupt! Unexpectedly, we found a trail of snow and a hatched egg in our classroom! 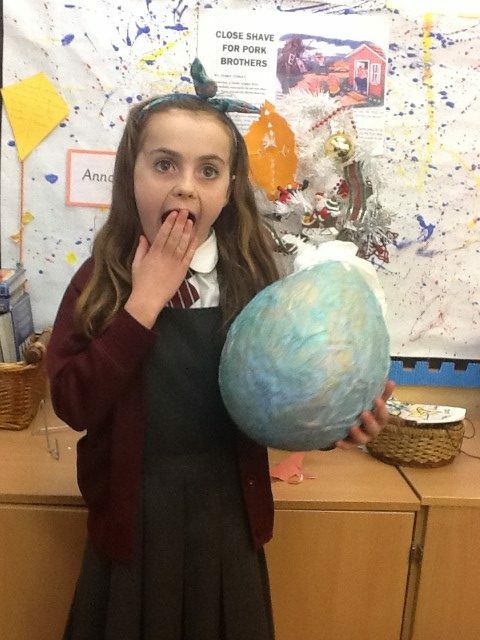 We think it may belong to the Christmasaurus!